Claymore Straker is trying to forget a violent past. Working as an oil company engineer in the wilds of Yemen, he is hijacked at gunpoint by Islamic terrorists. Clay has a choice: help uncover the cause of a mysterious sickness afflicting the village of Al Urush, close to the company's oil-processing facility, or watch Abdulkader, his driver and close friend, die. As the country descends into civil war and village children start dying, Clay finds himself caught up in a ruthless struggle between opposing armies, controllers of the country's oil wealth, Yemen's shadowy secret service, and rival terrorist factions. 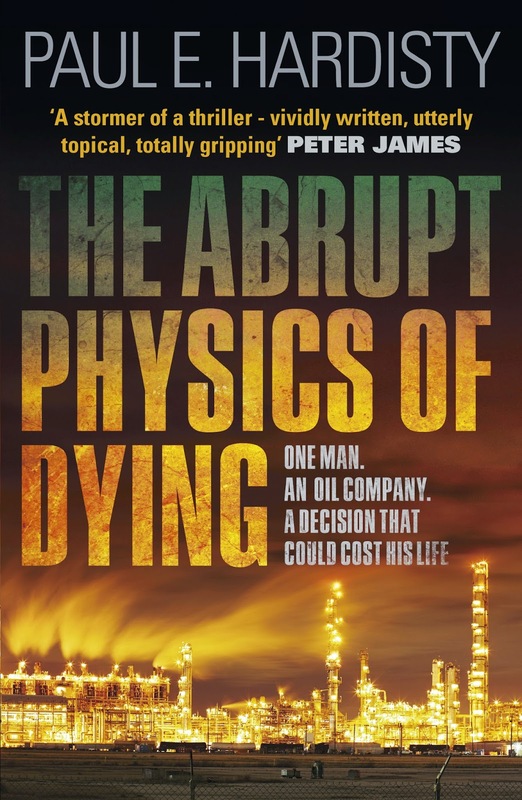 A stunning debut eco-thriller, The Abrupt Physics of Dying is largely based on true events. Gritty, gripping and shocking, this book will not only open your eyes but keep them glued to the page until the final, stunning denouement is reached. 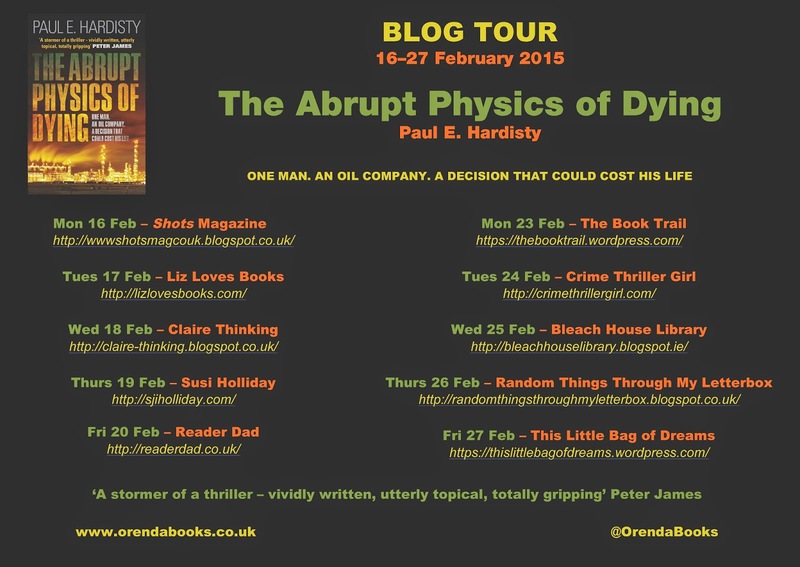 Welcome to the BLOG TOUR for The Abrupt Physics of Dying by Paul E Hardisty which is published on 8 March in ebook and paperback by Orenda Books. 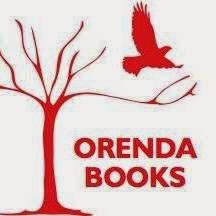 I was delighted to take part in this blog tour, and thrilled to support Karen in her exciting new venture that is Orenda Books. The Abrupt Physics of Dying is quite a way from my usual type of read, and if I'm honest, I was a little apprehensive about reading it. Without wanting to sound sexist or stereotypical, I did think that this was going to be a 'blokes' book. I am happy to have been proved wrong, this is a story that opens with a bang and keeps the reader engaged and on the edge of their seat throughout. 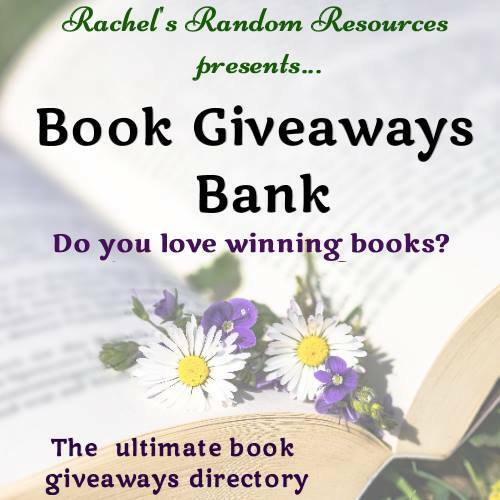 Orenda Books have given me two copies of The Abrupt Physics of Dying to give away, entry is simple, just complete the Rafflecopter widget at the bottom of this post. For me, one of the best and most exciting things about reading so many books is that I learn so much, and travel with the author to so many new places, and The Abrupt Physics of Dying certainly taught me a hell of a lot and took me on an adventure to places that I'd never read about before. Clay, the lead character is something of a maverick. I envisaged a craggy faced, yet handsome guy whose experiences are etched on his face. He takes risks and is daring, he is flawed yet confident and determined. The action is set in the Yemen and the author evokes such a sense of place with his writing that I felt as though I'd been there and experienced the culture, it is clear that the author has himself spent time there, his descriptions are enticing and exotic, yet startling realistic. The Abrupt Physics of Dying is a tense thriller, the violence and corruption is vividly portrayed, yet there is nothing in the story that shouldn't be there. Clay and his supporting cast of characters don't get away with everything either, this is certainly no James Bond style lead character, in fact he suffers just as much, if not more than his enemies. If you enjoy a story that is well-written with a plot that twists and turns, and leads you astray, then I'd recommend this. If you want a hero that is a little bit unusual, with his own issues, but is determined and so well created, then I'd recommend this. If you want a complex and intelligent thriller, then I'd really really recommend this. Don't be scared, take the plunge, this is a fine novel, with thrills and excitement throughout. 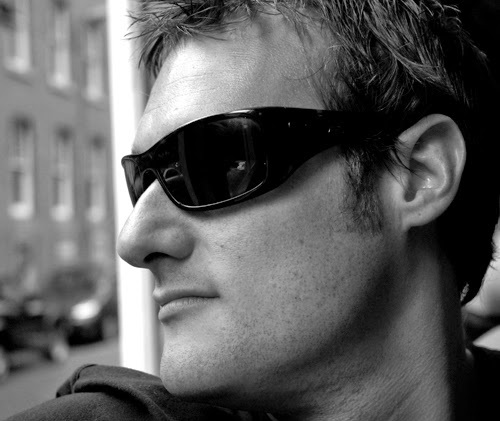 Follow him on Twitter @Hardisty_Paul and check out his website. Orenda Books signed three début novels, including David F Ross’ The Last Days of Disco, which Sullivan said will draw comparison with Roddy Doyle and Irvine Welsh. 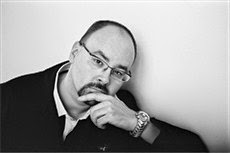 The publisher also signed world English rights for The Abrupt Physics of Dying, a “riveting, topical eco-thriller set in Yemen” by Canadian–Australian author Paul Hardisty, which was signed from Broo Doherty at DHH Literary Agency. 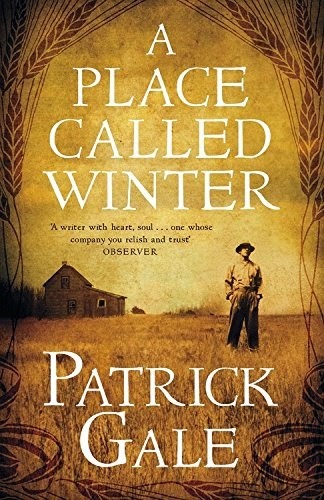 A Place Called Winter by Patrick Gale will be published by Tinder Press on 26 March 2015 in hardback, the paperback release will follow in September. From the opening pages, when we are introduced to the lead character; Harry Cane, through to the very last page, I was totally immersed by the story, the characters and the location. I wanted to read the whole story in one sitting, but instead, it took me longer than usual to finish this outstanding and quite breathtaking novel. Why did it take so long? Two reasons; the first was that I actually rationed myself. It is very rare that I say that I don't want a book to end, but this this one of those rarities, the writing swept me away, the story haunted me. The second reason for my slow reading was that there were times when I just had to put it aside, for despite the tremendous writing and the captivating story, there were times when I found the plot so heartbreaking and so emotionally tiring that I had to give myself a break. Harry Cane has led a fairly privileged, if uneventful life. The son of a self-made man, he inherited his father's wealth, and apart from his determination to ensure that his younger, and brighter, and more ambitious brother Jack is comfortable, Harry has no life plans of his own. He spends most days reading the newspapers, lunching at his club and taking baths at the local spa. It is down to Jack, and his socialable personality that Harry meets and marries his wife Winnie. Theirs is not a conventional marriage grounded in love, but more of a convenience for both of them. They are, however, happy in their own way and Winnie gives birth to their daughter. So, I hope that I've encouraged people to go out and pre-order this book, I can guarantee that you will not be disappointed. A Place Called Winter is a story to adore and to cherish and to shout about. Huge thanks to Georgina Moore from Headline who continues to feed my ever growing hunger with her startling selection of titles. 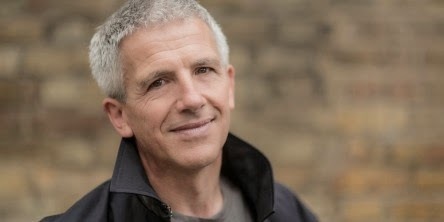 Patrick Gale was born on the Isle of Wight. He spent his infancy at Wandsworth Prison, which his father governed, then grew up in Winchester before going to Oxford University. He now lives on a farm near Land’s End. One of this country’s best-loved novelists, his most recent works are A Perfectly Good Man, The Whole Day Through and the Richard and Judy bestseller Notes From An Exhibition. Vahid, her son, is suspicious of the strange foreigner who turns up in his mother's kitchen; he is unused to seeing an independent woman. But a compelling attraction pulls them together and then pits them against harsh Iranian laws and customs. 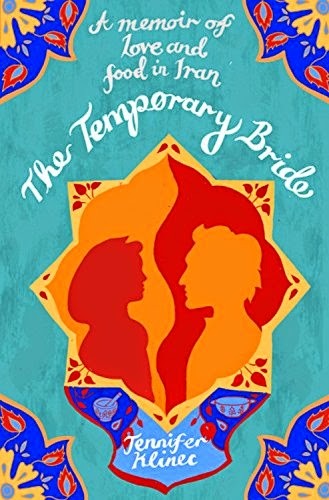 The Temporary Bride by Jennifer Klinec was published by Virago in September 2014. Books and food are my main loves, and anything that combines the two has to be a winner for me. to combine these with adventures in an exotic, far-away setting adds more to the allure of a book, so, for me, The Temporary Bride was impossible to resist. Jennifer Klinec has led an unusual life. She spent much of her childhood being ignored by her wealthy parents who led busy lives. Although Jennifer wanted to spend time with her mother in the kitchen, her earliest memories are of her being chased out of the room whilst her mother prepared the meals. Her parents were not intentionally cruel, and Jennifer used their attitude to their advantage. She travelled the world, organising her own schooling and her lodgings herself, she went where she wanted to go, and these experiences shaped her and strengthened her character. Back in London, Jennifer had a successful career in the City. Having spent time collecting recipes and trying all sorts of different foods in many different parts of the world, Jennifer decided to open a small cookery school in her little flat in London. Whilst this was a success, and her customers enjoyed learning new skills, Jennifer still had the bug. She wanted to discover more cookery methods, from places that women didn't travel to. Iran. A country so very different to anything that Jennifer had experienced. Where women cover their heads and spend their days cooking the traditional foods. Where women wear make up and style their hair and wear fashionable clothes .... but only within the safety of their own family, and never outdoors. Iran, where the authorities and the Police can stop and question anyone, where bribery and corruption is rife. Iran, the place that Jennifer yearned to visit. Having managed to find a family that would allow her to cook with them, Jennifer was delighted to learn about Iranian food, and culture. The son of the house, Vahid, was initially suspicious of Jennifer, he was rude and arrogant, but it becomes clear that he is also intrigued by her. Here is a woman who is independent, who is well travelled and intelligent, and is also attractive. As Jennifer and Vahid spend more time together they grow closer, and this is where her story becomes more of an adventure. Jennifer Klinec writes wonderfully, her love for food, her descriptions of some ingredients that should really turn the stomach are made delicious with her use of words. The reader is transported to the back streets of Iranian towns and cities, to the small family-run cafes that serve wonderfully rich and spicy food to local people. The complexity of life in Iran is clear and fascinating, the daily struggles, especially for women are described in full, with authority and with compassion, and sometimes with exasperation and a little anger. The emerging love story between Jennifer and Vahid grows slowly, yet only takes place over four weeks. I enjoyed The Temporary Bride, I enjoyed the writing and I enjoyed seeing and experiencing life in Iran. The culture, the towns, the fear, the ignorance and most of all, the food. Jennifer Klinec is a fine writer who has written a heart-warming and vivid story of food and of love. Jennifer Klinec was born and grew up in Canada in the most East European of families. Always craving autonomy and adventure, she left Canada at 16 for Europe. By the time she moved to the UK at 23 she had already lived in 5 countries and spoke 3 languages. She opened a cooking school out of her loft apartment which Time Out named ‘The hippest, most authentic cooking school in London’ and travels to countries most people are fearful of, in search of ancient recipes and delicious things to eat. Klinec’s work explores what it is like to be pulled into a foreign country and have your entire life flipped upside down. Through the lens of food and romance, she explores the search for belonging, the necessity of trust, and the collisions and misunderstandings between Western and Islamic cultures. She takes us behind the closed doors of Iran, one of the most contradictory and misunderstood nations on earth. The Temporary Bride is her first book. Clara Conway is a woman with secrets. But consequently Clara's family is in the process of falling apart. Her son Max emigrated to the US with his young family years ago and she has yet to meet her teenage granddaughter, Nathalie ... because Max and his mother no longer speak. Meanwhile Clara's daughter Ava is fighting to find a little happiness and when Clara unexpectedly reaches out to Nathalie and her niece comes to visit, her thoughts turn to Max, the brother she loved and lost. The brother whose abrupt disappearance left the Conway family heartbroken. Can Nathalie's time with her grandmother start to right some very old wrongs? And can Clara find a way to reach out to Max and thereby begin to heal the whole family once more? 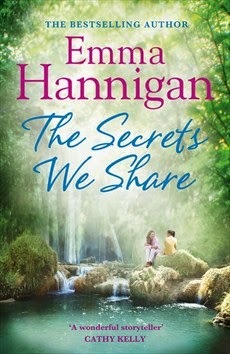 The Secrets We Share by Emma Hannigan is published by Headline on 9 April 2015 and is the author's ninth novel. I really enjoy fiction written by Irish women authors, I am a huge fan of Marian Keyes, Patricia Scanlan, Sheila O Flanagan, Anna McPartlin, and there are many many more. I've no idea how I've missed Emma Hannigan's writing in the past, but I'm delighted that I've discovered her through this wonderful novel and I'm quite excited that there are another eight of her books out there for me to read. The Secrets We Share is the story of a family, and is led by Clara Conway. Clara is eighty, she's been a successful business woman, a devoted wife and a loving mother. Her family have had their problems over the years, and Clara decides that it's time to finally lay things to rest. Clara's son Max left home over twenty years ago and has never returned. His sister Ava is a troubled, unhappy woman who exudes style and glamour on the outside, but inside she is battling with many demons. Ava was hurt dreadfully when Max left, and finds it difficult to forgive him for the heartbreak his departure caused. When Clara tracks down Max and his family in America and discovers that she has a seventeen-year-old grand daughter Nathalie, she becomes determined to heal the rifts that have torn apart her family. Nathalie herself is troubled; she is grieving and confused, and the last thing she expected was to hear from a grandmother who she thought had died many years before. Nor does she want to travel from stylish LA to some back street town in rural Ireland. Despite her fears and her objections, Nathalie arrives at her grandmother's house, and she and Clara start to get to know each other. Nathalie does not just find her living relatives, she also uncovers secrets from Clara's past. Secrets that have been hidden for many years and that have shaped this family, and caused the rift. I become totally engrossed in this story which on the face of it appears to be a fairly light read, and whilst it is a very easy read, the author deals with some hard-hitting and sensitive issues, giving the story a depth that I really did not expect. Emma Hannigan's writing is warm and sincere, she loosely based the plot of The Secrets We Share on her own family history, and the realism and authenticity of her story shines through. The characters who populate the story are wonderful; Clara is wise, yet sad, she knows that she has made mistakes over the years, and that her actions have caused harm, yet she has learned from this and is determined to make things right. She is quirky and funny and a little bit over the top. Clara's daughter Ava was possibly my favourite character; a complex woman who has hidden depths that she hides from everyone, even herself. Ava stumbles from one disaster to another, never learning and dogged in her desire never to be hurt again. Nathalie is bright and enquiring, she is sad and confused, but has inherited her grandmother's wise ways. The Secrets We Share is emotional, endearing and very enjoyable. Emma Hannigan is a gifted storyteller. I enjoyed this story so very much. My thanks to Lovereading who sent my copy for review. 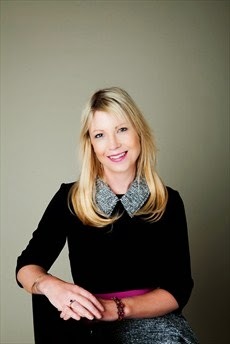 Emma Hannigan is the author of nine bestselling novels including Keeping Mum and a bestelling memoir, Talk to the Headscarf which charted her journey through cancer. Emma lives in Bray, Ireland, with her husband and two children. 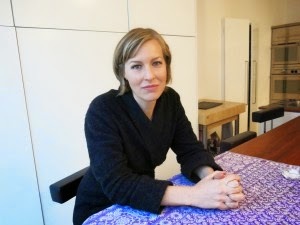 For more about Emma, visit her website www.emmahannigan.com or follow her on Twitter @MsEmmaHannigan. His story begins in the heart of old Barcelona, when he meets Marina and her father German Blau, a portrait painter. Marina takes Oscar to a cemetery to watch a macabre ritual that occurs on the fourth Sunday of each month. At 10 a.m. precisely a coach pulled by black horses appears. From it descends a woman dressed in black, her face shrouded, wearing gloves, holding a single rose. She walks over to a gravestone that bears no name, only the mysterious emblem of a black butterfly with open wings. When Oscar and Marina decide to follow her they begin a journey that will take them to the heights of a forgotten, post-war Barcelona, a world of aristocrats and actresses, inventors and tycoons; and a dark secret that lies waiting in the mysterious labyrinth beneath the city streets. Marina is the fourth and last of Carlos Ruiz Zafon's novels for Young Adults and was written in 1997. Marina is translated to English by Lucia Graves and was published in paperback by Weidenfeld & Nicolson in the UK on 12 February 2015. 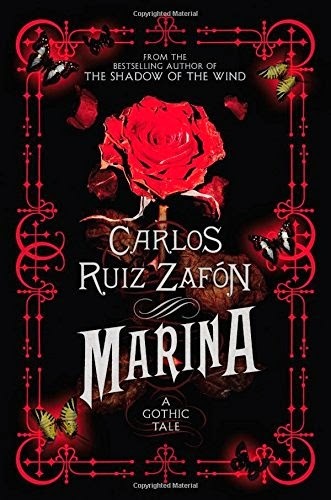 The Shadow of the Wind trilogy by Carlos Ruiz Zafon is a huge favourite of mine, my beautiful hardback copies take pride of place on my bookshelf and I was delighted to find that Marina is set in the familiar surroundings of Barcelona. Fifteen-year-old Oscar is a boarder at a school in Barcelona and enjoys his illicit wanderings through the beautiful city, He loves to discover the winding side streets, the small parks, the beautiful buildings. One day Oscar happens upon a house he has not seen before, and it is there that he meets Marina. Marina and her German father live a strange and solitary life in their almost derelict, but fascinating house. Oscar is bewitched by them, and by Marina especially. When Oscar and Marina follow a mysterious woman from the nearby cemetery, they have no idea what they are letting themselves in for. This is just the beginning of their journey. Carlos Ruiz Zafon is a master of gothic creepiness which touches on horror. He can create places and scenes that leap from the page and engulf the reader. His descriptions of Barcelona and it's inhabitants are wonderful, and coupled with a tense and exciting storyline, this really is the perfect read. Marina is a graceful, suspenseful, characterful story that will thrill existing fans and tempt new ones. My thanks to Leanne at Orion who sent my copy for review. Carlos Ruiz Zaf?n is the author of six novels, including the international phenomenon The Shadow of the Wind, and The Angel's Game. His work has been published in more than forty different languages, and honoured with numerous international awards. He divides his time between Barcelona, Spain, and Los Angeles, California. Set against the backdrop of Nigeria's ongoing terrorism tensions, Satans and Shaitans tells the story of two powerful men, Chief Donald Amechi and world acclaimed televangelist, Chris Chuba, both members of an internationally renowned occult, the Sacred Order of the Universal Forces. Members of the occult from Southern Nigeria, desperate to gain control of their country, deceive an Islamic terrorist organisation into carrying out attacks in order to undermine and overrule the Nigerian President. This powerful story is one of morality, choices and consequence. 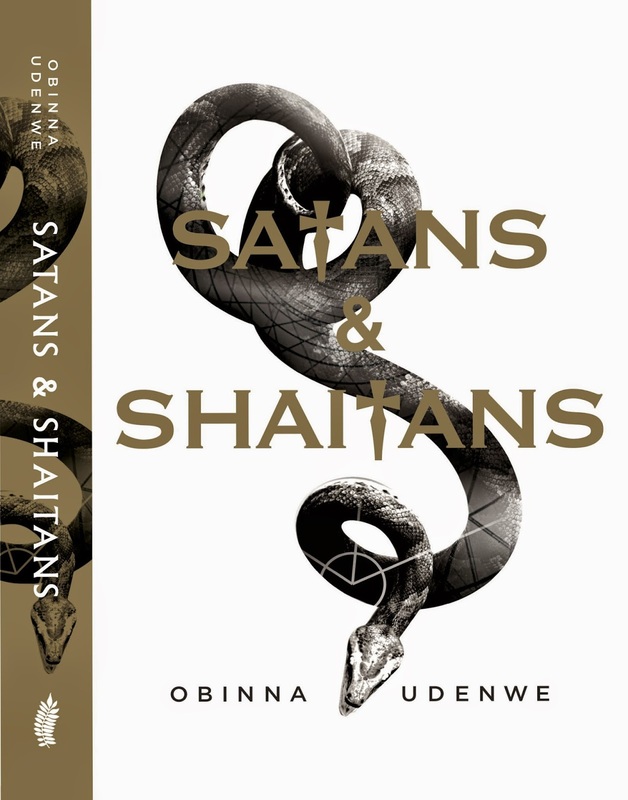 Satans & Shaitans by Obinna Udenwe was published on 27 November 2014 by Jacaranda Books. This novel is so far away from my usual choice of story, it's a leap out of my comfort zone, yet the blurb on the back really tempted me. I knew that I was in for a challenge, but I was determined that I wanted to read this one. I have always had a keen interest in other cultures and religions, and this story of terrorism, the occult and nationalism opens up a whole new world for me as a reader. One of the most important elements of Satans & Shaitans is love. This is a love story, it is the story of two young people whose fathers are involved in the occult and whose desire for power in this turbulent country makes them terrorists. Obinna Udenwe's writing is uncomplicated and simple to follow, the complexities of terror, jihad and culture within Nigeria are gently unfolded, and the reader is guided through these. There were times that I became confused, especially with the names, but his writing is very engaging, and I soon found my way back around the plot. There is a lot going on in Satans & Shaitans; from murder to conspiracy theory, from love affair to undercover occult organisations, and whilst the writing flows easily, the plot is huge and the story covers lots of issues. I am pleased that I read this story, and I feel that I know a little more about Nigeria, and the issues there, the author writes with authority and authenticity. My thanks to Jazzmine from Jacaranda Books who sent my copy for review. 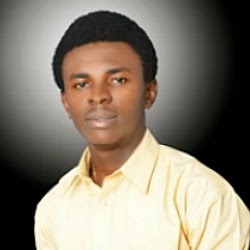 Obinna Udenwe is one of the most prolific young short story writers in Southern Nigeria. Born in Abakaliki to a political family, Obinna became politically active at a young age, leading Ebonyi State Children’s Parliament. In 2014 Obinna was named State Literary Icon and has been recognised for his services to youth development and democracy. He appears in various national and local Nigerian radio, TV and print media, and international blogs, on key issues such as terrorism, youth unemployment, entrepreneurship, children’s rights and governance. The A - Z of You and Me by James Hannah is published in hardback by Doubleday (Transworld) on 12 March 2015. Over the past few years there do seem to have been a glut of books that deal with death, and with people dying. There have been lots of teenage deaths, coming of age stories that end in death and are marred by terrible illness. 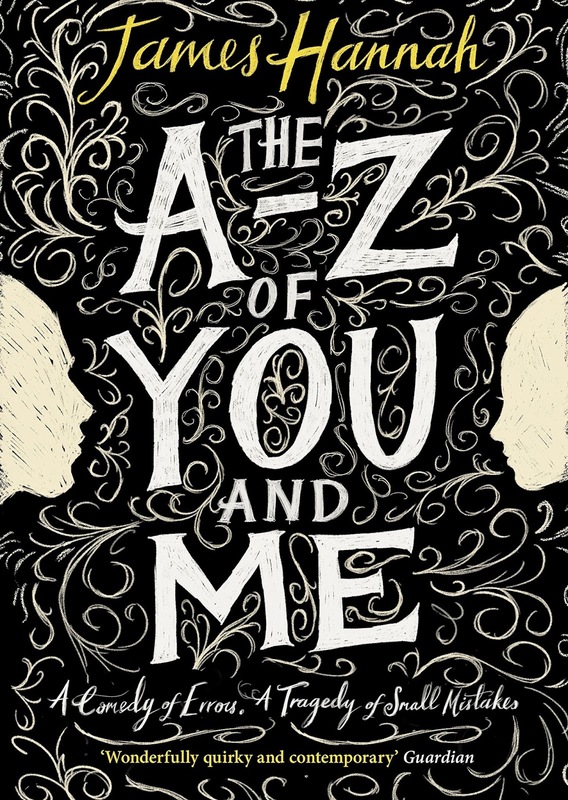 The A-Z of You and Me is a story narrated by a dying man, but it is a story of a life, rather than a death. It is a story that is hard hitting and full on. There are no passages of misty-eyed revelations here, or looking back and discovering that life really had been wonderful. No, this is a narrative that is full of mistakes, regrets and to some extent, hopelessness. Ivo is in a hospice, he is not in a good way. He struggles to concentrate, he has many regrets and many sadnesses, he realises that life really is what you make it, and he's realised that maybe he didn't make the best of the past forty years. His down-to-earth, but incredibly caring nurse Sheila gives him a challenge, she tells him about the A-Z Game. Think of a part of the body that starts with each letter of the alphabet, and tell a story, or relate a memory about it. The A-Z Game takes up a lot of thinking time, and James Hannah has created this very modern and touching story around the game. Slowly and steadily, Ivo reveals his past, and his present to the reader. It takes a while to learn just why Ivo is in the hospice, and what happened to destroy the relationship with his sister, and why the crocheted blanket that he keeps by his side is so very important to him, and to his memories. James Hannah writes with a bluntness that can be startling, but coupled with the setting and the extraordinarily likeable characters, it really does work. The story is sad, yet it is uplifting. The characters are flawed, yet human. The setting is a place of endings, yet is beautifully calm, and at times filled with humour and lots of love. I was very impressed by this novel, and by the creative way that it was constructed. It is a delight to read and to recommend to others. My thanks go to Kate Green from Transworld who sent my copy for review. The A - Z of You and Me has also been chosen as the next book for the Curtis Brown Book Group and I really look forward to the online chat with James Hannah, and other readers at the end of this month. James Hannah divides his time between London and Shropshire, UK. He has a Master's degree in Beckett Studies from the Beckett International Foundation at Reading University. His first novel, 'The A to Z of You and Me' is published by Doubleday in 2015. Following a tragic car accident, Michael Sewell is alone for the first time. The loss of his wife, Margaret, after thirty years of marriage has left a hole far greater than Michael could have imagined. Persuaded to go on holiday by his daughter Jane, he's at the pool when a page blown from a book sticks to his chest. The Page combines dark humour with a racing storyline, as the reader tries to work out what will happen to the main character before he does. 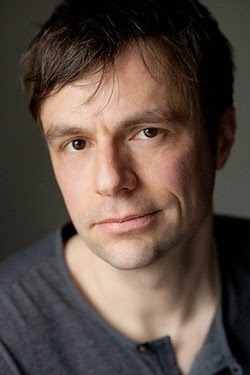 M. Jonathan Lee has been compared to Mark Haddon, Nick Hornby and Rachel Joyce. 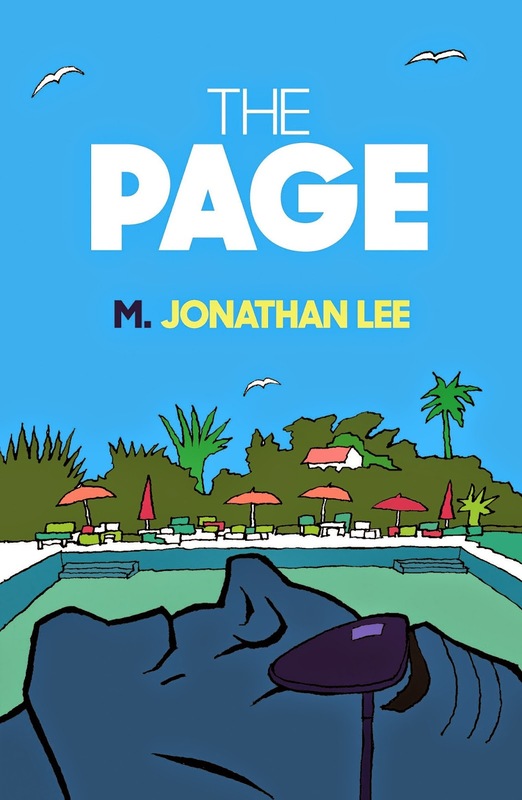 The Page by M Jonathan Lee was published through Matador (Troubador Publishing) earlier this year. I have only just discovered that The Page is the second part of a trilogy, the first; The Radio was published in 2013. I haven't read The Radio and I thought that The Page works well as a standalone novel. I have since read the blurb from the first book, and realise now that it may be best to read that one first. Don't let that put you off though! The Page is unlike anything that I've read before. Primarily a thriller, it's also a dark and witty tale, with possibly one of the most obnoxious and quite cruel lead characters that I've ever come across. Michael is holidaying alone. 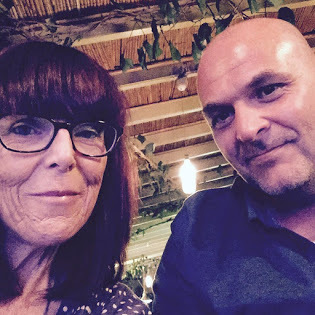 Margaret, his wife of over thirty years was killed in a car accident a few months ago and his daughter Jane arranged this trip to Spain for him. Michael has always been in control, he has always made all of the decisions. Life for him has been one where everyone around him bowed to his wishes, and if anything displeased him, or didn't fit into his idea of a perfect world, then he got rid of the problem. Michael doesn't really know how to relax, especially not in this family-centred mass tourist resort in Spain. He is annoyed by the children, by the other adult guests and by the food. Spain is too hot, they don't serve good whisky and the pool is far too crowded. Oh, and it gets windy too. A particularly strong gust of wind blows a book's pages all over the poolside and Michael ends up with one page stuck to his sun lotion oiled chest. When Michael reads this random page from a random book he is shocked and quite frightened; this page details his life and the last sentence scares him. The Page details Michaels quest to track down the remainder of the book, to try to find out just what happens next. This is an intriguing premise, and although it is the central theme of the story, for me, the beauty of this novel is everything that goes on around Michael and the other characters in thes story. M Jonathan Lee has a wonderful way with words, his descriptive prose is stunning, but not overdone. In fact, his writing can be very abrupt and quite sparse, but I like that - why use 50 words when 10 carefully chosen ones can do the same job? "Lynne, a lady in her forties, had a shock of blond hair. She wore thick red lipstick which had the consistency of pate. Her eyelids were painted a shiny light blue. Her fingernails, which extended claw-like, were painted to match her lips. She smiled in a way that suggested that any joy she experienced in life was categorically outside of the workplace." The reader is taken back to key points in Michael's life; starting work, meeting his wife Margaret, becoming a parent, and each event clearly shows the intricacies of Michael's somewhat appalling character. We meet his daughter Jane, we become involved in her life and her work and her desperation to please her father. The Page ended quite abruptly, with some questions unanswered, with some characters still mysterious. I don't mind that, I love a story that makes me think, and ponder and wonder what the hell just happened! Unusual, quirky, well written with characters that the reader will love and hate in equal measures. I'm a fan! M. Jonathan Lee (also known as Jonathan Lee) was born in 1974. He was born in Barnsley where he still lives today. In between juggling a full-time job, looking after five children and feeding two cats, he writes stories. His first novel, The Radio was shortlisted for The Novel Prize 2012 and is the first in the loosely titled The 'The' trilogy. His second novel, The Page is released in February 2015. he is currently working on his third novel, the catchily titled A Tiny Feeling of Fear or The Two Sides of One. 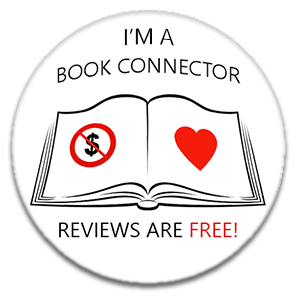 Accompanying The Page is a huge competition to win a share of the author's royalties. It is believed that this is the first competition of its kind. He has extensively toured The Radio, speaking at various literary festivals including Turn the Page and Off the Shelf. He is a regular guest on BBC Radio Sheffield's comedy show Live-ish and is hoping one day that writing will become his full time career. Have your name immortalised in your favourite author’s book with CLIC Sargent's Get In Character eBay auction, and help us to support children and young people with cancer. Let's get bidding! CLIC Sargent’s 'Get in Character' fundraising campaign is running for a second year, giving you - or a loved one - the chance to appear in a book as a character name. We also have an exclusive opportunity for you to bid to win lunch with transatlantic quadruple number one bestselling author Lee Child, creator of the award-winning 19 book series of novels about Jack Reacher. There is also the chance to get your hands on signed book bundles from Liane Moriarty, Sarah Addison-Allen, Lucy Dillion, Jodi Picoult, Jojo Moyes and Anthony Horowitz. Aspiring writers can even bid to have their work critiqued by best-selling authors Claire Dyer, Alison Bruce, Eve Seymour, Kate Rhodes and Colette McBeth. Proceeds from the auction will help CLIC Sargent to support children and young people with cancer, and their families. Last year, the Get in Character auction raised £3,500 to help CLIC Sargent provide clinical, practical and emotional support to children, young people with cancer and their families. Help us beat that amount so that we can help more children! Best–selling writer and former SAS Sergeant Andy McNab said: “I’m thrilled to be taking part in Get in Character again this year and helping raise money for CLIC Sargent. “In 2014 the auction to be named in my book The New Enemy raised an incredible £500, so I jumped at the chance to be involved again. "It’s a fantastic opportunity for booklovers to make their mark on a book, and something they can be proud of."